most of the dads i know have a thing for pirates. 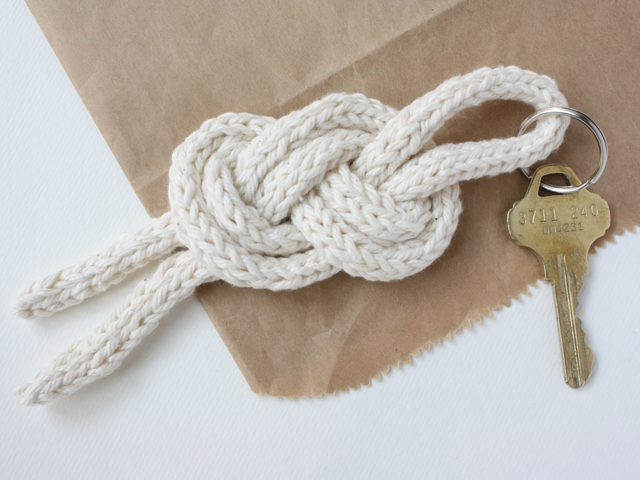 that's why i think this sailor knot keychain diy would be a perfect last minute father's day gift! 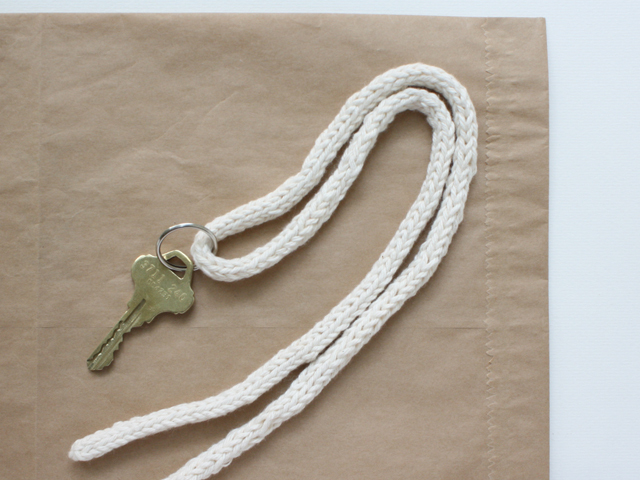 one - fold the rope in half and slip on the keyring. lay the rope on the table folded at about 1/3 it's length. two - bring the ends over, leaving a couple inch wide opening. 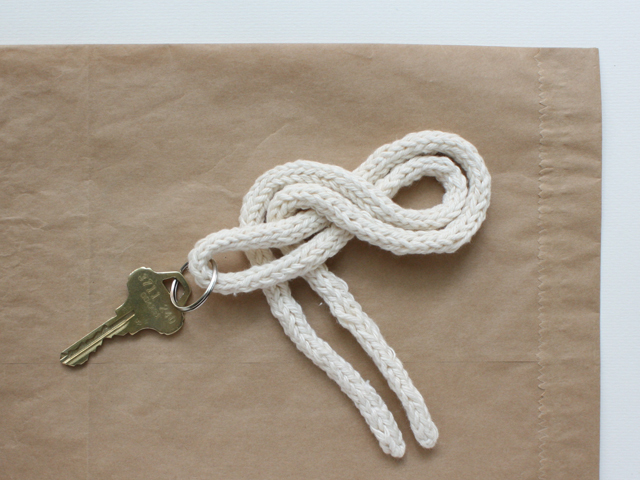 three - bring the ends under the keyring section, tightly hugging the rope. four - bring the ends over the overlapping part. five - tuck the ends through the hole and under the first loop. 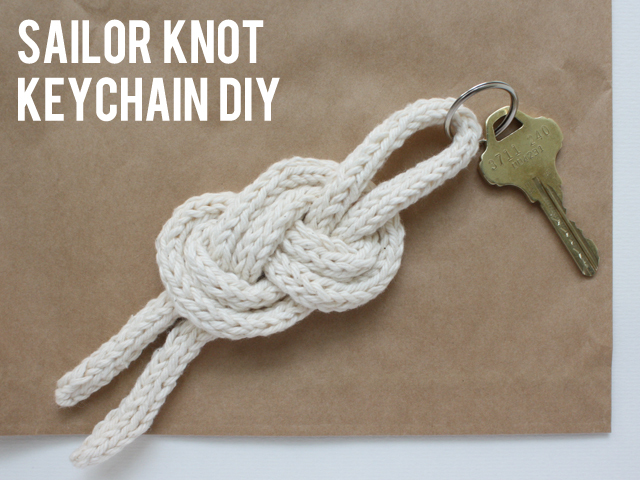 pull and adjust the loops to make your knot nice and tight and pretty, and you're done! 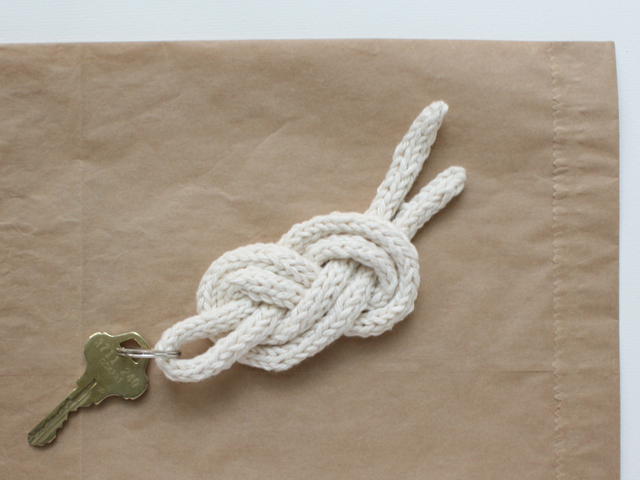 if you feel your knot is a little flimsy, use a little bit of glue in between the loops to secure the knot. 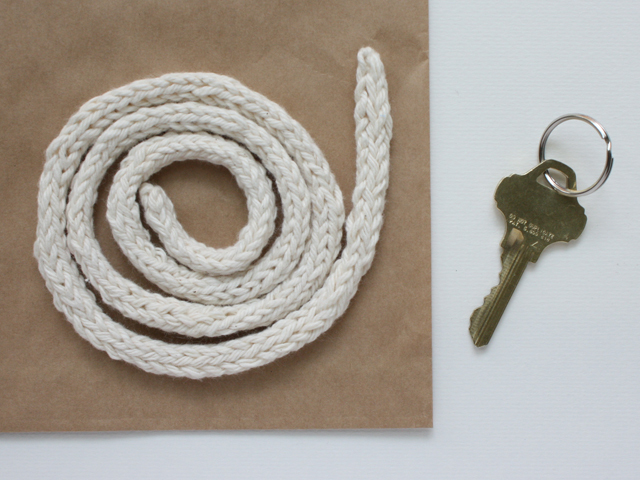 now you have a fancy looking little keychain for your pirate loving, sailor man dad! three cheers for crafts for dads! My goodness your blog is cute! I love this tutorial! 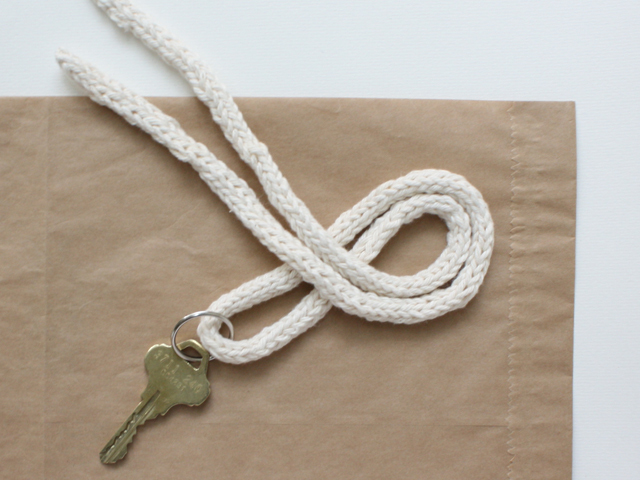 I've been wanting to try making a necklace like this. thanks so much! with a little tweaking, i bet you could make a darling necklace with this. good luck! 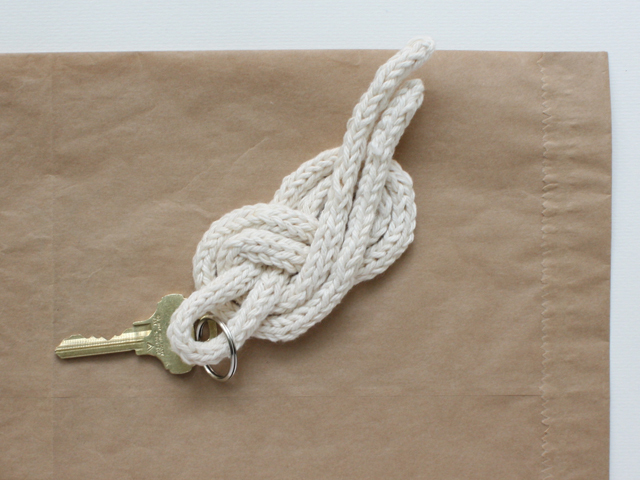 Okay, I know it sounds crazy, but this is the PERFECT gift for my dad, who is both a locksmith and avid sailor! Thanks so much! That's a pretty cool looking key chain! Very cool! My son is gonna love this key chain.